From its historic roots in Hawaiian culture to plantation and ranching activities in the 19th and 20th centuries, Kea’au has been a center of commerce and community in East Hawaiʻi. It rests at major crossroads between Hilo and Volcano and the (ever-growing) Puna District towns of Pahoa, Kapoho and Kalapana. Keaʻau will be an important gathering place for generations, providing employment, education, commercial and residential needs to a growing population. Kea’au sits on Volcano Highway (rt. 11) less than 9 miles (about 15 minutes) to both sea and air ports serving Hilo and all of East Hawaii. Recent traffic counts show 40,000 vehicles a day moving in and out of Puna through Keaau – half of them remaining on Volcano Highway and half of them on Keaau-Pahoa Road (rt. 130). 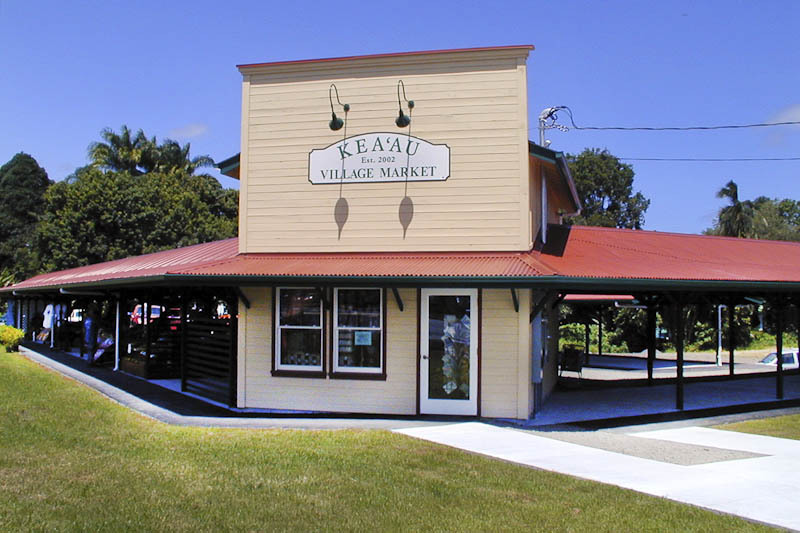 Keaʻau Village is a hub where the needs of the larger district are met. Grocery and health food stores, hardware and other shops, along with restaurants and banking are in the Town Center. A state library branch, U.S. Post Office, Boys & Girls Club of the Big Island, Keaʻau Family Health Center, HFS Federal Credit Union, Longs Drugs (CVS), Urgent Care and a veterinary clinic are among the services available within walking distance. 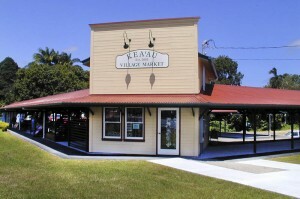 The Keaʻau Village Market provides a convenient place to pick up farm fresh fruits and vegetables, along with local crafts. A collection of small eateries are also located in the market, with open air seating that serves as a community gathering place. Nearby K-12 schools include Keaʻau Elementary, Middle, and High Schools, Christian Liberty School and Academy, Nawahiokalaniopuu (Hawaiian Language and cultural immersion) and Kamehameha Schools – Hawaiʻi campus. Kea’au is unique from other communities on the island, in that it has K – 12 public, private, and charter school options located in such close proximity, making Kea’au a particularly convenient place to live, work and play. 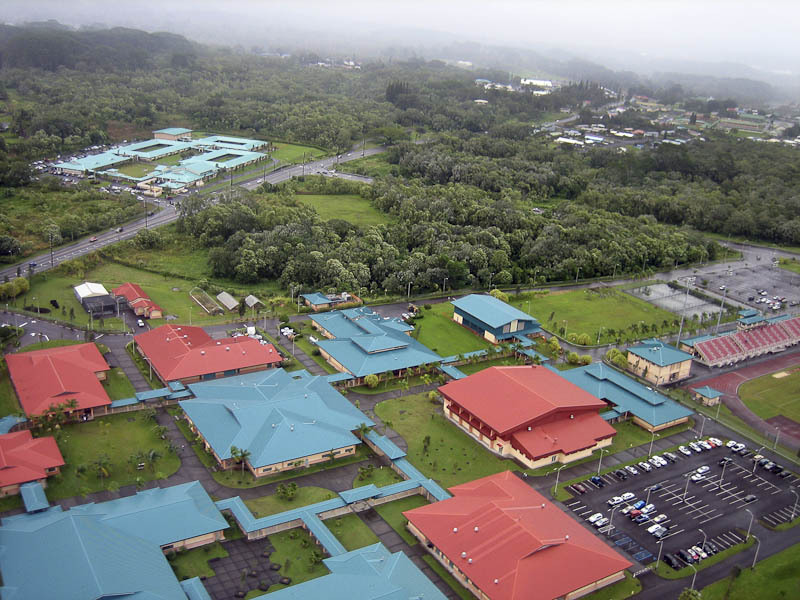 Keaʻau is a community of open spaces, places to play, walk, exercise, and plenty of places to park. The Herbert C. Shipman Park, operated by the County of Hawaiʻi, offers an array of outdoor activities in the districtʻs only truly regional park serving both Hilo and Puna. Shipman Gym, adjoining Keaʻau Middle School provides space for additional community activities. The County operated Kea’au Community Center, located next to Bay Clinic and Police facilities supplements the parks and gyms in Kea’au Village. According to the State Attorney General: Hawaiʻi County’s Total Index and Property Crime rates were the lowest in the state for 2008 (latest available).